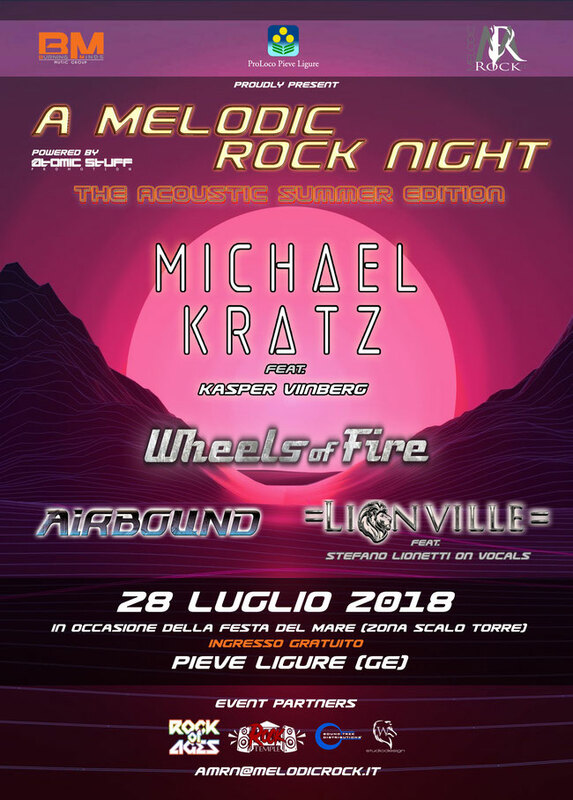 Melodicrock.it, in collaboration with Pro Loco Pieve Ligure, Burning Minds Music Group & Rock Temple, is glad to release some details regarding the access of the audience at "A Melodic Rock Night 2 - Acoustic Summer edition", which will take place the next July 28, 2018 in Pieve Ligure (GE - Italy). Considered in fact the peculiarity of the location (built directly on the seaside), which will grant access to a limited quantity of people, it will be possible to make a free reservation for the event, in order to book a guaranteed access to the location. - 2) Save the reply sent by the organizers, and show it at the entry of the location (printed or directly from your smartphone): you'll be immediately brought directly on the reserved access point of the event.